With the ConceptDraw DIAGRAM diagram software users can create the AV schematics of various connections. The Audio and Video Connectors solution includes sockets and plugs professional-looking stencils and several samples that you can modify and make your hookup diagram of the home media connections. After designing the target professional looking diagram one can explain the Audio and Video connections. Example 2. Hook-up drawing - Stereo audio visual entertainment systems. 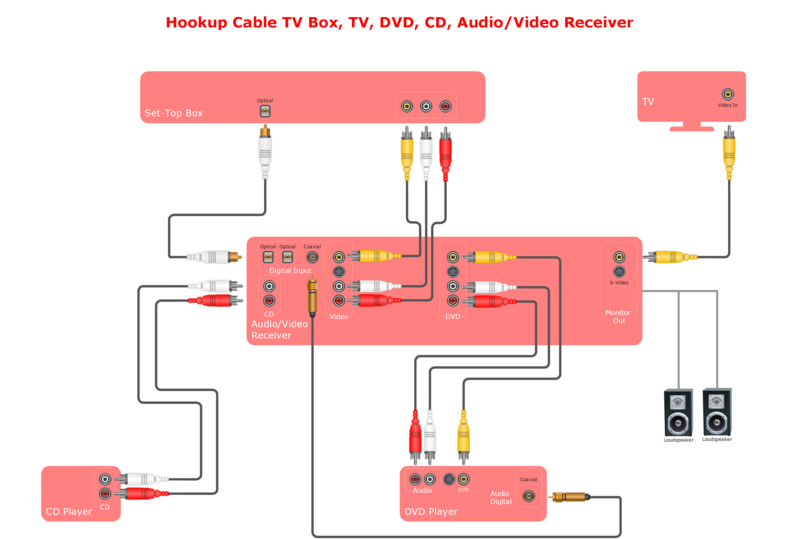 This hookup diagram was created in ConceptDraw DIAGRAM diagramming and vector graphics software using the Audio and Video Connectors solution. 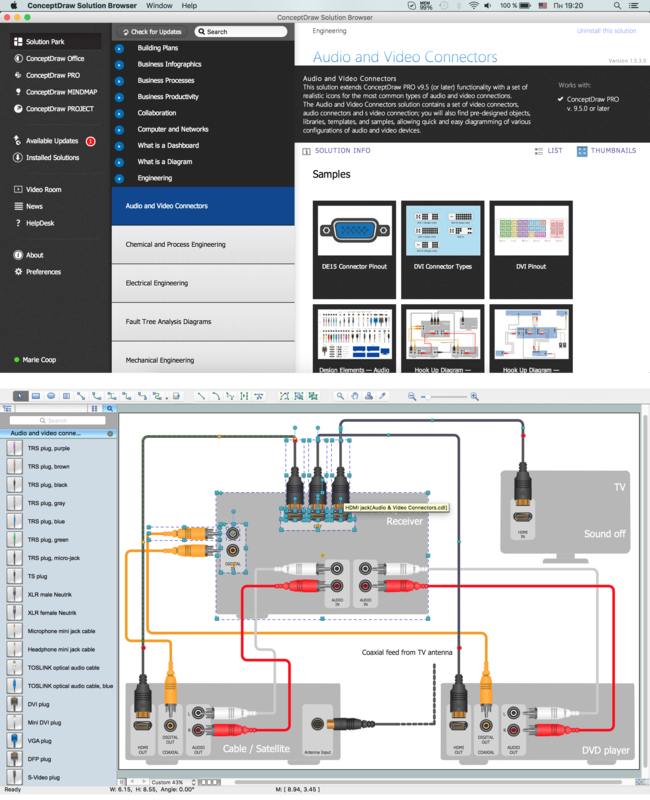 Illustrate your system connections using ConceptDraw DIAGRAM with stencils library with icons of jacks, plugs and device silhouettes from the Audio and Video Connectors solution.